Hey there fixers! This post is for you! 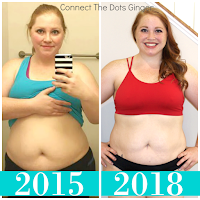 Are you new to the container system through the 21 Day Fix or the new programs released from Beachbody that come with the Nutrition Fix Containers? 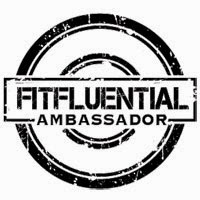 CONGRATS on an amazing system that has literally changed MY LIFE and how I see food and my personal relationship with food! How many of you had a hard time eating all of your containers in the beginning? Those little containers can be quite deceiving at first huh? They look so small and innocent, until you start to plate your meal! Then it is like "holy crow I have to eat all of that!" I remember in the beginning that I felt like I was eating all day long. And I was. By the time I got to my mid afternoon snack I felt like I was going to explode. 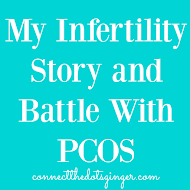 That feeling is normal for the first week, but it took that long to make my stomach the size it was supposed to be. I was eating way more veggies, which take up more space in your stomach then processed foods. And my body was learning to become efficient at burning the food I was eating. After 2 weeks now, how many of you are still having a hard time eating all of your containers? By around 2 weeks into the program you should be able to eat all of your containers. “But I’m not hungry…” That’s right. You need to be eating 5-6 small meals a day. And you should never get to that hungry feeling. Why? Because when you are eating that often and the right kinds of foods, your body will not have a blood sugar drop demanding more food to give you energy. 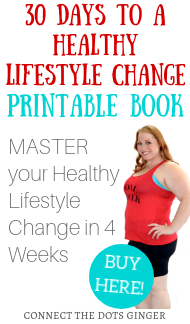 By my second week, I felt comfortable eating all 6 meals, and everything I was eating. But I never got hungry. I thought I would blow up in weight because I never felt that hunger. And I felt like I was stuffing my face all day long, with good foods, but still, I was eating more than I ever had in my life! But the key there, was IT WAS THE FOODS THAT MY BODY NEEDED TO BE MORE EFFICIENT AND WORK RIGHT! My first month I lost 7 pounds! My body learned to be efficient and to burn what I was eating not storing it for later when I was starving. So if you are feeling like you just can’t eat any more food by the time you hit your snack or dinner follow these tips to help you out! PORTION SIZES! take a look at the sizes of foods you are eating. Make sure you are following the portions exactly. MEASURE THEM OUT EVERY TIME IN THE BEGINNING! Secondly, try to eat and you might realize that you weren’t as full as you thought that you were and that you just weren’t hungry. Your body just never sent the signal saying, "HEY I'M HUNGRY!" DON'T SKIP MEALS OR CONTAINERS IF YOU CAN HELP IT! So...try eating anyways. 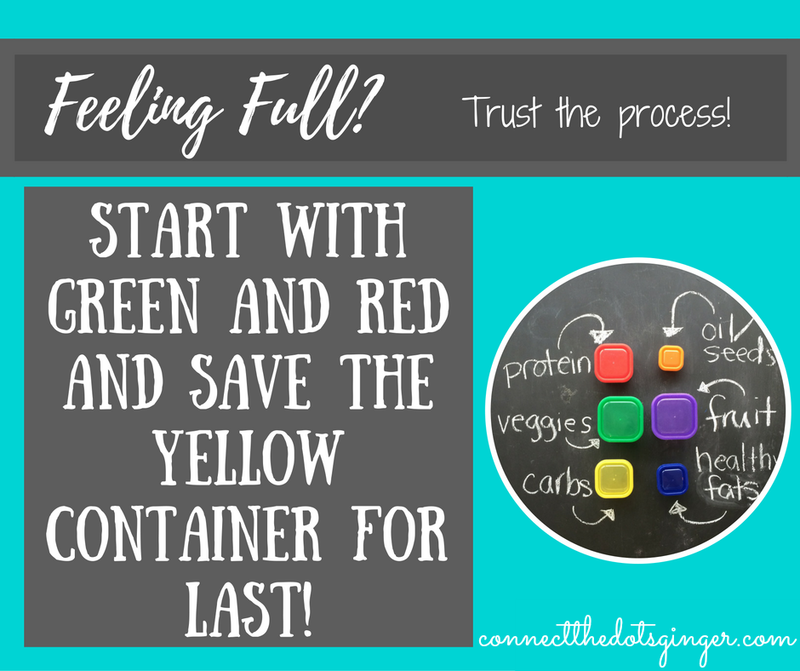 If you are stuffed, make sure you eat your GREEN containers first, then RED...saving your yellow for last and eat as much as you can because YOU NEED CARBS, they help you burn energy fast. Give it a week or so more and see if you are more able to eat all of your containers. The goal is to not feel hungry but satisfied all day long so you don’t get that itch to eat “other stuff” around the office, your home or out and about! Comment below and let us know how the container system is going for you!